Welcome! Here you will find free to re-use HD videos carrying a Creative Commons by Attribution license (CC-BY). Simply 'right click save' to download. If you have found my videos useful, please consider leaving a tip below. All funds generated by tips will go back into making more great FREE content available and more quickly. Would you like to support NatureClip? Not only do you get that warmth from the knowledge that you have helped thousands of people to be creative like yourself, you also get special perks as a token of my appreciation for your support. For example, Patreons can get access to Patreon only content and mentions on my home page! You can also make a one-off donation for as little as 1$ using PayPal - all donations go back into keeping this site running and sharing FREE stock footage for thousands of people! Can't afford? Don't worry! You don't need to donate to be a supporter! Every tweet, like and share helps to spread awareness of my FREE stock footage. A brand new clip for you to re-use in your own creative projects! A majestic Swan on a beautiful forest lake. 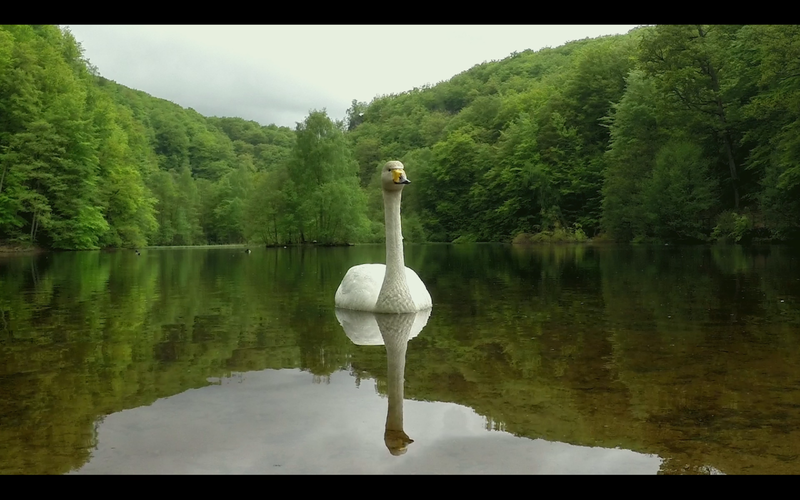 The reflection of the swan in the water, cleaning his feathers in slow motion creates an amazing image. Step 3: Go and have fun! Free stock footage by NatureClip is licensed under a Creative Commons Attribution 4.0 International License. Based on a work at http://www.natureclip.co.uk. If you find my clips useful, please consider leaving a donation. All donations go back into purchasing equipment to create even more free content. Every penny helps, thank you. Would change make you happy? Welcome to NatureClip! I provide free to re-use HD videos for your own creative projects. All these videos are available to all (simply right click and save). For more recent content, click the 'latest content' tab or visit my channel. All my videos are free when you credit me. In cases where this is not possible you can use a non-attribution license. For details, check out my 'licenses' page above. Based on a work at http://natureclip.co.uk.